THERE SEEMS to be no depths to which the depraved denizens of Coup 4.5 - the anti-government website – won’t plunge in their frustration at failing to derail Fiji’s march towards a fairer democracy. These so-called “journalists” are regular purveyors of racism and hate dressed up as respectable analysis but they’ve reached a new low with a link on how to make bombs. 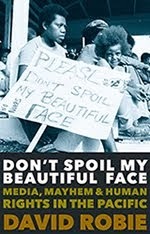 We’re not going to provide the link but it’s all there on Coup 4.5 [link provided reluctantly by CP] – the site that poses as the defender of democracy while purveying racism and, in a fresh outrage, promoting violence with a clear inference that people in Fiji try to dislodge the regime with home-made bombs. They’ve also launched crude attacks on Professor Yash Ghai, head of Fiji’s Constitutional Commission, with articles casting him as a regime supporter that are a clear attempt to derail the constitutional process. The 4.5 gatekeepers have even allowed a comment posting calling on Professor Ghai to be charged with sedition. Quite on what grounds isn’t made clear but rationality isn’t the website’s strongest point. The comment comes from a certain Mark Manning, a well known Sydney-based agitator who describes himself as a clinical hypnotherapist. As one correspondent has already quipped on 4.5, he’s clearly in the business of hypnotising himself with the delusion that the good Professor can be charged with anything at all. Mark Manning is a regular feature at anti-regime rallies organised by the so called Fiji Democracy and Freedom Movement, that rabble of ethno-nationalists, SDL supporters and hangers on who have trouble filling a church hall yet continually cast themselves as credible players in Fiji. 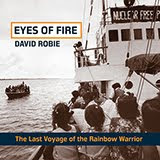 He’s also a regular contributor to the Matavuvale website, where these sad characters gather to trade their fantasies and swap their most incisive bon mots. Among Manning’s choicest is to describe Grubsheet in lurid terms as someone who wipes the dictator’s nethers. The imagery is as crude as the language but this is evidently the best this hypnotherapist can conjure up. Another regular contributor to both Coup 4.5 and Matavuvale is the charmless Ilisoni (Wilson)Tamanikaira, a man now banned from these columns for his overt racism and for urging Fijians (the real ones, of course) to beat Grubsheet to a pulp on sight. He and Mark Manning deserve each other, one a Fijian who appropriately resides in the red neck Australian city of Toowoomba (Pauline Hanson country), the other an Australian who evidently wishes he was Fijian but only if the country is run by people who wouldn’t allow him to be Fijian at all. Strangely, Manning is wedded to the SDL, surely an alliance of the most bizarre kind. And so we have this gaggle of the politically dispossessed, racial supremacists (or both) plus their assorted camp followers, all quaintly banging their pots and pans offshore in support of a bastardised democracy like a bunch of Argentine washerwomen locked out of a bank. Their desperation is evidently reaching fever pitch as the constitutional process kicks into gear and their dreams of a comeback move further and further out of reach. So perhaps it’s to be expected that their agitation is also reaching fever pitch, whatever rationality they once had dissolving into mass hysteria and a steady stream of idle threats. Few rational people care anymore about their loathsome politics and racism, not to mention the appalling hypocrisy of one-time coup makers such as Simione Kaitani screaming blue murder about democracy from their cosy perches in Australia. But when the “journalists” at Coup 4.5 start issuing instructions about how to make home-made bombs -presumably to be detonated in the country they claim to love – it’s a bridge too far and let’s call it what it really is: criminal and sick. 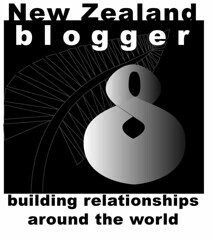 Independent Fiji-born journalist Graham Davis publishes the blog Grubsheet. IGUAZU FALLS in South America, one of the most dramatic waterfalls in the globe, has been named one of the world’s seven natural wonders. Situated on the border of Brazil and Argentina, and also close to Paraguay, the falls – almost 3km wide - have been designated one of the new “seven wonders” in a ceremony late last month, while Café Pacific was holidaying in the neighbourhood. The president of the New7Wonders organisation unveiled a placard designating the falls a natural wonder on May 27. Café Pacific visited the falls from both the Argentinian and Brazilian sides – and also ended up in Paraguay – illegally (by accident) – for six hours. Iguazu is named after the local indigenous Guarani words for “y” – meaning water – and "ûasú” - meaning big. According to at least one legend, a traditional god wanted to a marry a maiden named Naipí. Instead, she fled with her earthly lover by canoe. The angry god split the river in half, creating some 275 cascading drops and condemned the pair to falling forever. The boundary between Argentina and Brazil splits the Paraná River, just below the falls. The Iguazu and Paraná rivers combine to make the falls with about half the water flow thundering down the spectacular Devil’s Throat (Garganta del Diablo) - see David Robie video above. Mac Margolis analyses the conference of 192 nations that was supposed to be mapping out solutions to climate change but has been widely branded a "colossal failure". In a city park girding the gray Atlantic ocean, dozens of people stood on line before a giant tent, each toting small bags of garbage. They waited patiently, each one eager to add their bit to the work in progress—plastic artist Vik Muniz’s giant montage of the Rio de Janeiro made of recycled trash. Turning waste into art is Muniz’s specialty and a sorely needed skill set for the occasion. Across town, in a cavernous convention hall, delegates from 192 nations were putting the finishing flourishes—and their bravest faces—on another piece of work, the final statement of Rio+20. But to hear it from green groups, social activists, and even some conference-goers, global leaders had turned Muniz’s idea on its ear, converting a precious and rare international summit into a squandered opportunity. For the past three days, heads of state and ministers had gathered at the United Nations Conference on Sustainable Development to hash out a global road map for reversing climate change and achieving economic growth for all without trashing the environment. They congratulated themselves on a job well done. Others were not so sure. Optimistically dubbed “The Future We Want,” the conference statement read more like “The To-Do List From Hell.” With marine life in peril, global carbon emissions reaching a record 32 billion tons last year, and emerging market powerhouses led by China adding to the fumes, expectations were bright for concrete action. But by the end, world leaders were as conspicuously short on goals, timetables, and commitments as they were high on rhetoric. In a speech in Rio, U.S. Secretary of State Hillary Clinton called sustainable development “the only viable development” possible in the 21st century. “The only way to deliver lasting progress for everyone is by preserving our resources and protecting our common environment,” she added. Brazilian wordsmiths who edited the final document draft reportedly had to hit the delete button repeatedly to accommodate outliers and to keep talks from derailing. To others it was a pearl of underachievement. No new targets were set for slashing gases such as carbon dioxide and methane that scientists warn are overheating the atmosphere. When developing nations proposed creating a $30 billion fund to back green jobs and environmentally sustainable initiatives, the richest countries played deaf, distracted perhaps by the euro-zone crisis. Likewise, specific measures for protecting the high seas and endangered reefs and marine fauna ended up on the cutting-room floor, with further discussion deferred to another environmental parley in 2015. “It is frankly astonishing that world leaders all agreed that this is a major problem needing an international, coordinated solution and then deferred any decision on action for another two and a half years,” Susan Lieberman, international policy director for the Pew Environment Group, said in a statement. The International Union for Conservation of Nature reports that one in 10 natural heritage sites around the globe are endangered. But while many in Rio despaired, others lobbied. Ivonne A-Baki, the secretary of state for Ecuador, worked the corridors in Rio to drum up support for protecting a 1 million–hectare patch of unspoiled rainforest. Yasuni Natonal Park, where the equator meets the Andes, is famed for its fabulous variety of plants and animals. It also sits on 846 million barrels of oil, fully a fifth of Ecuador’s proven reserves, worth an estimated $7.2 billion, a treasure trove for a poor country. But instead of cashing in that wealth, Ecuador declared the Yasuni off-limits to drilling and wants the world to pitch in. In exchange for leaving the area intact, Ecuador is looking to raise $3.6 billion from international donors to help protect the park. 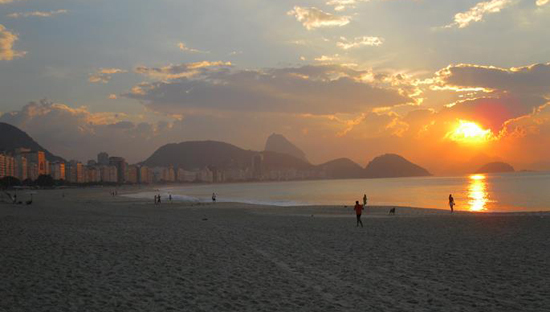 Though Rio+20 failed to pass the vaunted $30 billion green fund, it was the perfect venue to tout the project. 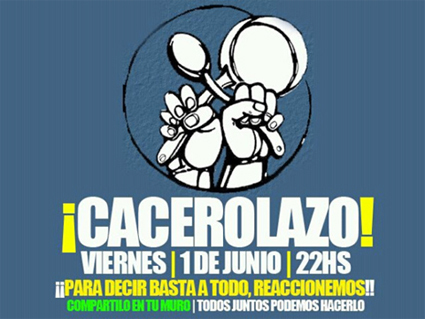 THE CACEROLAZO has returned as social protest to Argentina with a vengeance – three rallies in a week and Café Pacific was at one of them along with other media. This Latin-American brand of protest where people bang pots and pans – usually over poverty and economic human rights issues – began on May 31 when the CP publisher was actually celebrating his birthday at Rio’s Copacabana. The following day he flew to Buenos Aires and was caught in the middle of Cacerolazo 2 on June 1 at the intersection of Santa Fe and Callao where about 2000 people gathered and then marched on the Plaza de Mayo. Finally, Cacerolazo 3 on June 8 attracted thousands who protested at the central plaza (around the city’s spectacular Obelisk). But unlike the spontaneous and famous cacerolazo of 2002 when middleclass demonstrations over the devaluation of the peso ousted the government, the current social democrat government of President Christina Fernández de Kirchner seems solidly in control at the moment. The mainly middleclass protesters are alarmed over currency controls that affect travel abroad and are aimed at curbing the outflow of US dollars from the economy. Protesters are also angry about fiscal taxation reforms that will triple rates for property and land owners and allegations of corruption. Farmers are also protesting over the land tax reforms. At one cacerolazo protest, three journalists working for the public television current affairs programme were assaulted, prompting complaints by media freedom groups. The assaulted Television Publicá journalists from the 6, 7,8 programme were named by the Buenos Aires Herald as as Lucas Martinez, Sergio Loguzzo and Ezequiel Schneider. This was reported by Pacific Media Watch. 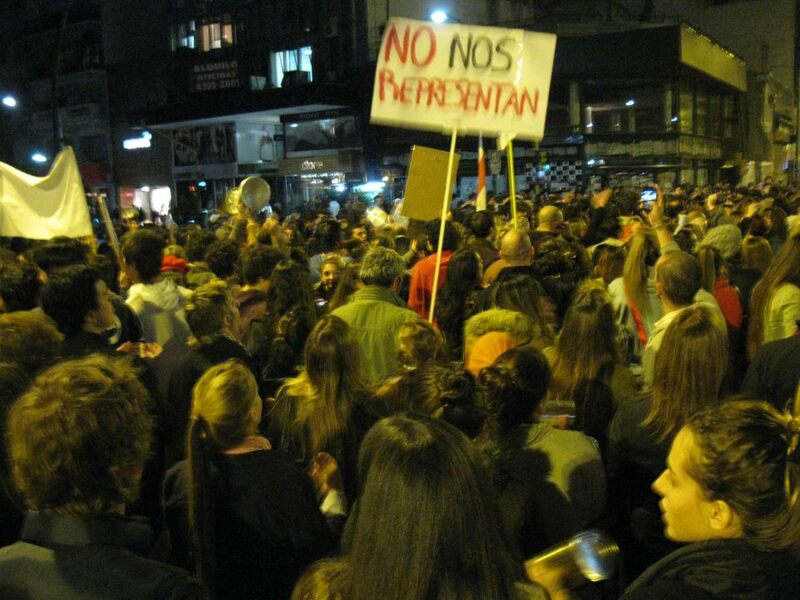 A local senator, Anibal Fernández, enraged protesters with statements reported in the media that exposed his hypocrisy and, by implication, that of other lawmakers. According to Global Voices website, which reported on the cacerolazos, when Senator Fernández was asked why he had his savings in US dollars while he asked citizens to “think in pesos,” he replied: “Because I feel like it. Didn't you hear me? Because I feel like it, it is my right, I do as I please with my money." Anibal Fernandez, with his remarks, is a great mobiliser of the masses… of others. Every word is an invitation for a ‪#cacerolazo. What does he want? June 1 protest by Twitter. 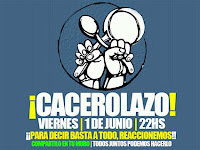 Wikipedia describes a cacerolazo or cacerolada as a form of popular protest practised in certain Spanish-speaking countries – in particular Argentina, Chile and Uruguay – which consists in a group of people creating noise by banging pots, pans, and other utensils in order to call for attention. What is peculiar about this type of demonstration is that the people protest from their own homes, thus achieving a high level of support and participation.